In my opinion, the issue of a global financial reset is when, not if. 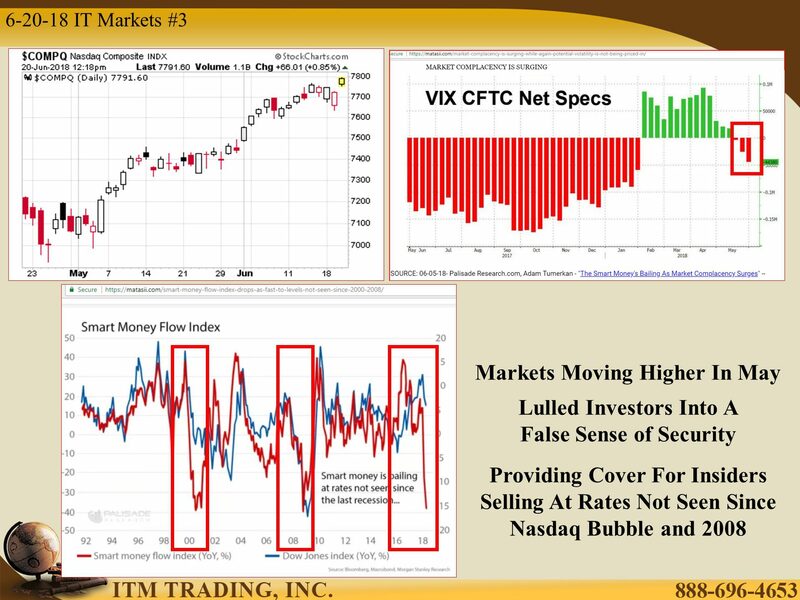 I keep a close eye on what Lynette Zang has to say, and she flagged some key indicators in her video today. This smart money index shows insider selling like we saw in 2000 and 2008, the last two times the wheels began to come off the financial cart. 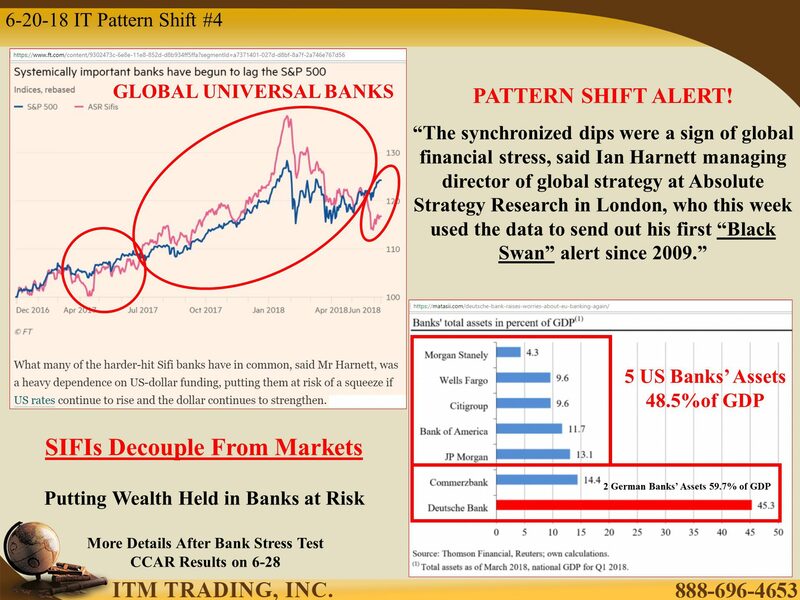 The Strategically Important Financial Institutions (SIFIs) have decoupled from the S&P 500, a sign they are under stress. Deutsche Bank is again trading at new lows breaking the low of late 2016, before Chinese money kept them alive. Will they be allowed to fail this time? When Deutsche goes, the entire financial system will go with them. 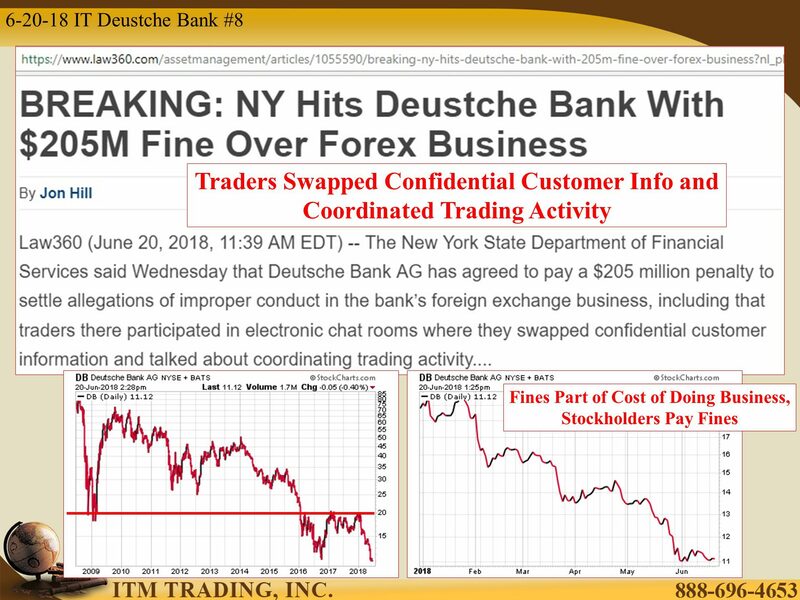 Interestingly, Bix Weir was also discussing the impending failure of Deutsche Bank today.